Occasionally we re-organize and inventory our warehouse. We often find we have parts which we are overstocked on, or have been discontinued by the manufacturer, don't sell as much volume as our predictions, have been returned by a customer, are considered "blems," or (for a number of other reasons) we have decided to put on clearance. "Blems" are items which have nicks, dings, scratches, light rust, small dimensional inaccuracies or other correctable issues. These parts may need some attention before use, or they may not look like 100% brand new, but they're a great way to save some cash. We offer these products at a very, very deeply discounted price, usually significantly less than we have paid from the manufacturer. In this case, our loss is your gain! However, once they're gone, they're gone forever. The quantities available at these prices are usually very, very small. ATTN: Many times only a portion of our inventory of a certain item is set aside to be sold at a clearanced price. You must inform your salesman of the clearance price when ordering, otherwise the part will come up normally priced in our system. NO RETURNS OR WARRANTIES on clearance items or blems. Except for some items listed at the bottom of this page, clearance items CANNOT be ordered from our online store, you must call and talk to a salesperson. Pictures below are representations of these items, not actual pictures of the items themselves unless specifically noted in the description. This page changes weekly or daily as we sell items and post new items. To ensure you are viewing the newest version of this page, make sure you refresh the page by holding down the "control" button and then pressing the "F5" key if you are using a windows PC. We have a small supply of 200-1055 Stealth heads which have failed water jacket pressure checks. This is usually due to a small porosity hole in the casting, or a leaky valve seat. May need small welding repairs or maybe a valve seat replaced. May be new or slightly used. May be complete/assembled or bare, depending on stock. We can check stock and let you know. 200-1132 Stock replacement rods. Full set of 8. Customer return reason unknown $99.95/set. 44042506800-6 Crankshaft. Balanced to 2300 grams. Has a slight vibration on the balancing machine. We are not sure why, crank may need to be turned, but otherwise is brand new. $499. 44037506760-6. (Stock stroke 440) Balanced to 2151 grams. Otherwise brand new and perfect in every area. $499. Factory A/C 3 groove crank pulleys (good used) $15 each. All website content copyright 440 Source. OVERSTOCK SALE!! Over 30% off while supplies last!! 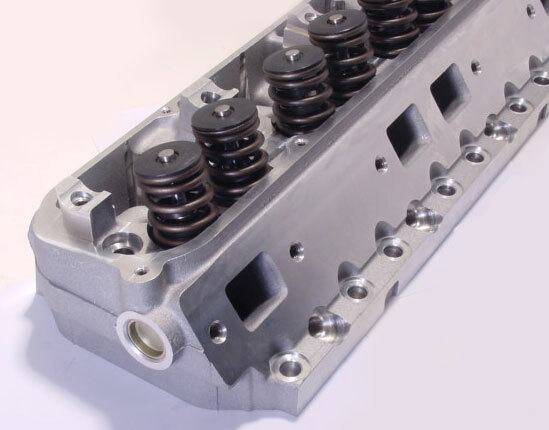 Finally, a reasonably priced quality rocker arm setup for Edelbrock Victor, and other Big Block wedge heads which use .650" offset intake rocker arms! Our brand new aftermarket aluminum roller rockers are an unbelievable value! 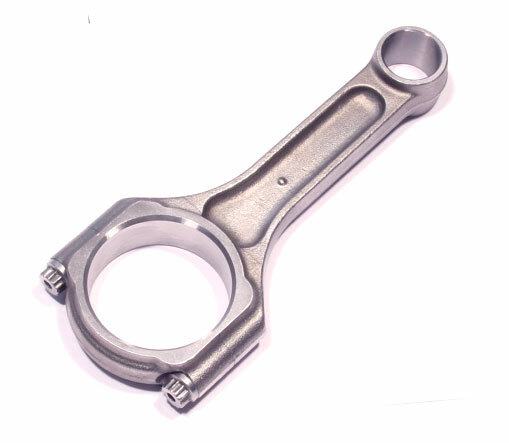 Made out of aircraft quality certified 2024 aluminum alloy, these arms are formed using a hydraulic extrusion process under 1500 tons of pressure, giving these arms an incredible 60,000 PSI tensile strength! They are fully CNC machined, and finally anodized for additional durability and corrosion protection. These sets come complete with 16 rocker arms (8 intake arms in special .650" offset and 8 exhaust arms in standard offset) 2 4340 hardened thick wall shafts, 16 adjusters and 16 12 point locknuts. This version is supplied in a 1.6 ratio. 1.5 ratio is available as a separate part number. Our rockers use extra heavy duty NSK licensed large fulcrum needle bearings between the arm and the shaft (shown in the "view additional images" button) so friction is reduced (and therefore additional horsepower is gained) between the arm and the shaft, as well as between the valve and the the roller tip. These bearings are rated up to valve spring loads of 600 pounds open pressure (which includes most cams in the .500-.600" lift range.) Be careful not to confuse these with some other rockers on the market which offer a much cheaper and easier to manufacture design of a solid aluminum rocker which offers the roller tip, but runs the aluminum of the rocker body directly against the shaft, a setup which produces much more friction and wears the arms out extremely quickly. Since these feature the roller bearing, and a super hard roller tip hardened to 60 on the Rockwell C scale, these will work just as well on a high mileage street car as they do on a drag only setup. They also feature pressurized oiling of the pushrod ball/cup area, and a generous valve spring clearance relief in the underside of the body (shown in the "view additional images" button) These rocker arms DO NOT require using our .650" thick spacers (part #113-1018) because the extra thickness of the special offset rockers takes the place of the thick spacers. We DO recommend our shim package (part #105-1018) to center each arm exactly over each valve tip, and set the endplay, which should be about .015"-.030". For shaft holddowns, we recommend using our aftermarket billet aluminum holddowns listed separately (part #200-1032.) These are what is shown in the above pictures. Please note again they ARE NOT INCLUDED automatically with these sets.